While visiting the Creake Abbey farmers market, North Creake Norfolk. 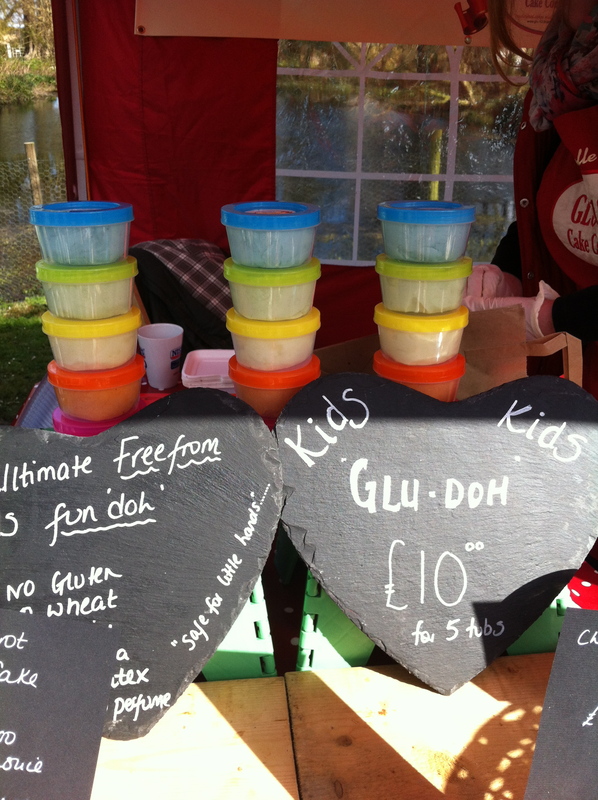 I noticed a new addition to the gluten free, dairy free Glu-10-3 stall. 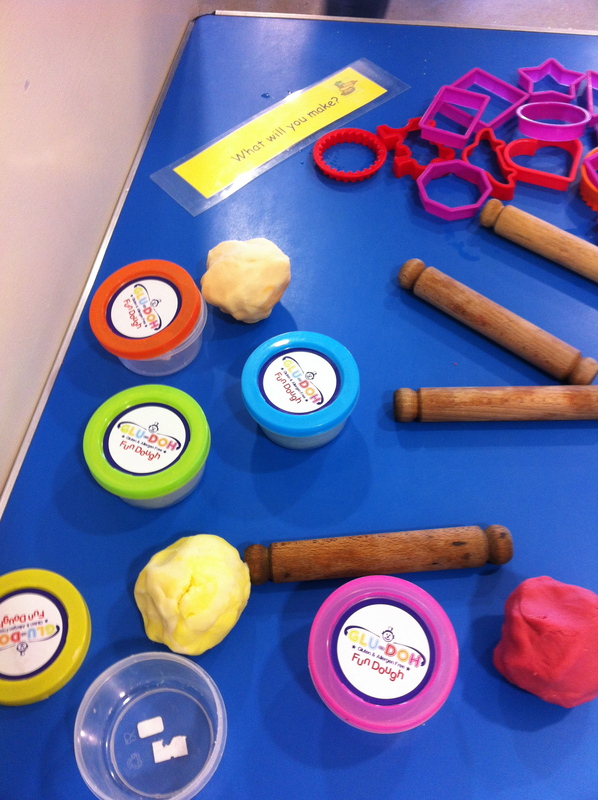 Glutenfree playdough, 5 bright coloured containers of allergy free dough for children. What a brilliant idea! As I work in a pre school setting I thought it would be a great place to road test it! With 25 children under 5 this was going to be a tough test. Not only did the children enjoy playing with it I ask staff members their opinion. Less sticky then our regular homemade dough . Dry to the touch , lovely colours. Reminded us of play dough as children. The little ones really liked the little containers with their coloured lids too. The dough was very popular, we noticed some children spending a great deal of time at the table . It rolled out well and was great with cutters and for moulding in to different shapes. It has survived well in a Nursery setting and although it is now a pale orange colour is still very useable. The tip I was given was if the dough starts getting a slightly dry salty edge use a damp hand to knead it back to normal, which worked really well. A perfect option for children who have coeliac disease. Accidental glutening can be a real problem with regular play dough as its so easy for children to put their hands in their mouths whilst playing or forgetting to wash hands carefully afterwards. This is the perfect answer. Not cheap at £10 for 5 different coloured tubs, but it would last a long time in a regular home situation.